Three-time SEC swimmer of the year. In his four years at the University of Tennessee, Jeremy Linn fulfilled every dream an athlete could have. The Harrisburg, Pa., native set records, won both team and individual championships and carried the name of Tennessee swimming into international competition Linn won six individual SEC championships in addition to leading five victorious relay squads. A three-time SEC Swimmer of the Year, he became only the third athlete to win the same event, the 100-yard breaststroke, for four consecutive years at the conference championship meet. The crowning accomplishment of Jeremy’s SEC dominance, however, was helping the Volunteers to claim the 1996 SEC team title. On the NCAA championship stage, Linn was no less spectacular. Linn won a total of nine titles, four of them as an individual. He became the first Vol to claim two individual titles (100 & 200 Breaststroke) at a single NCAA meet since Andy Coan in 1979. All told, Linn won 17 All-America honors in his four years at UT. His domestic dominance firmly established, Jeremy then proved himself to be one of the top breaststroke swimmers in the world. 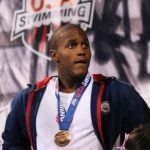 At the 1996 Olympics in Atlanta, Jeremy won the silver medal in the 100-meter breaststroke, establishing an American record in 1:00.77. Linn also played a vital role on America’s gold medal-winning 400-meter medley relay that shaved two seconds off the USA’s 8-year-old world record. He followed his 1996 Olympic effort with a gold medal performance in the 100-meter breaststroke at the 1997 U.S. Open Championships. In his 36 years of swimming experience, Linn has had the opportunity to learn from many of the greatest swimming minds in the sport. 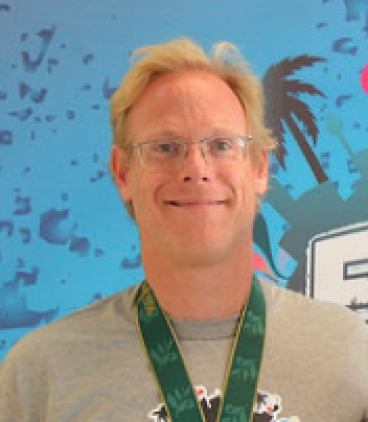 Combining elite-level experience with a degree in psychology, Linn has created theories and philosophies of swimming and competition that only he can deliver. 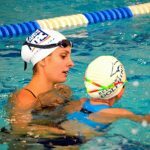 He has traveled nationally and internationally, giving swimming clinics and motivational talks. Jeremy began the senior training group for Nation’s Capital Aquatic Club West in 2008. In his eight years with NCAP, he has led his arm of the club to match up with the standards and accomplishments of the No. 1 team in the country. Success seems to pour out from Linn’s endeavors, and he can’t wait to impart his wisdom on those who attend his Fitter and Faster clinics!